Experience the sights and sounds of the 20th century through the eyes and ears of those who lived through it. Explore this fascinating era, decade by decade through the media that captured the tone and flavor of the century that took us from the horse and buggy to the moon and beyond. Since the early days of the 20th century, visual media has been used to document our lives and times. The Bygone Video collection includes informational films, educational media, news reports and more. Travel back to the golden age of radio. 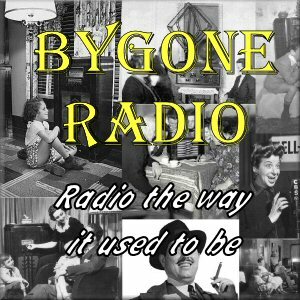 Our collection includes more than 12,000 episodes of your favorite old time radio programs. One the best ways to understand how an event unfolded is to explore the news reports of the time. This collection includes bulletins and coverage of some of the most significant events in our history. Some of the best literary works can be found among the works of the past. Explore this collection of popular novels of the 19th and 20th centuries. You can read any of them on line or download an EPUB version for your tablet or reader. We always welcome comments, questions and suggestions. Click the link below and drop us a note. In many ways, past eras are like different worlds. The people of the past dressed differently, used different technology and lived their everyday lives in very different ways. At Bygone Life, we believe that the best way to understand the past is by experiencing it the way that it was, through the artifacts that remain and the testimony of those who lived their lives. there. Our intent is to recreate the worlds of the past with the bits and pieces that remain. Bygone Life is, and always will be, a work in progress. Check back often and watch our worlds grow and develop. Let us know what you want to see and experience here. We will shortly add a forum so that you can interact with us and with others who are fascinated with the past. So, climb into our time machine and come back with us. There are many worlds to explore. Our Spotlight features provide an in depth look at some of the most significant events and periods in history. Explore these times through a variety of media, including photos, audio, video and primary documentation. You will feel almost like you are there. The Great Depression was, for many reasons, an iconic chapter in 20th century American history. It affected all Americans, in one way or another, and changed our national culture forever. The New York World's Fair of 1939 was dedicated to the future. Its many exhibits and attractions were desinged to give fair visitors a glimpse of what the future world would look like. Some of the new technology showcased at the event included automatic dishwashers, robotics and television. Back in the Day is an original BygoneLife documentary series that explores the history and culture of 20th century America. Click below to view. This episode explores the history and cultural trends of the first years of the 20th century, including the Philippine American War, the St. Louis World's Fair, the San Francisco earthquake and more. The second episode of Back in the Day explores the 1939 New York World's Fair, which featured newly developed technology and exhibits designed to give a glimpse into the world of the future.